A synopsis is an account of all the data and manuscript’s plot, setting, style, characters and everything which concludes with the study. Grouped with cover letter and multiple samples which is a vital piece of information for every synopsis. The synopsis gives you to demonstrate and show how well can you write and show your ability to craft some good story. Working tirelessly on the manuscript over a period of time getting everything in a place with not many words is a very difficult task. It becomes really difficult to execute everything in one place into two to three pages. With so much of limited word count, it becomes a difficult task to make things work and include everything. But if you break things down and take small steps at a time it is going to be a much easier task. There are no definitive rules which are been chalked down for the approach the synopsis, There are some points which need to be considered right in time to get the most efficient results. One of the biggest mistakes which are been made by authors is to hide the ending in their synopsis. Make sure you always show the story end. Arriving at an unsatisfying ending really does not make sense. Make sure an editor will not be able to spot any major problems with the manuscript by just reading the synopsis. The character’s motivation might not match the decisions or the opening might not connect to the middle of the story. To get everything right in the place you can craft a well-rounded story with strong character motivations and natural links from the very start to end. But make sure you create a flawless submission and avoid the editor to spot any mistake. Making changes in the synopsis yourself could consider a better writing skill and also avoid making editing of the content. The synopsis is a part which can help in grabbing all the attention. Thinking of Novel Synopsis like a theatrical movie trailer gives a good story. Using the best efficient tools and a great language and building up the right momentum for the synopsis or the ending of the story plays a major role. Make sure the Synopsis of your novel proves it to the editor that your manuscript is marketable and can do everything to prove your book will sell. What Synopsis should not do? Always keeping an outline and staying within the limited space makes a good point. Making a good outline for every page and sticking to it helps in maintaining better format. If your synopsis is written well, it makes the editor understand how the text needs to be placed anyway. Do not keep in mind that using difficult words or copying some extra over language can really grab people attention. Make sure writing is clear and concise, revealing the essentials of your story without ambiguity and certainly avoid using them to create any kind of suspense. It can always be helpful to include themes in your synopsis, but there is no real need to. If you have written the synopsis well and the editor is able to get the right feel without any input. It is a good thing. The main point is to get everything in place so that the whole scenario is been built up in front of the editor. There is no universally accepted method of writing any synopsis nor needs any style or layout to be followed. The following outline is a guide which can be considered for putting up a great work. This is a major and difficult part. Considering the role of each character and building up a story around is a very difficult task. Include character to plot points to make a necessary ending to make sense. Working out what should be included and what should not in your synopsis from the beginning save much of the time and effort down the track. Do not spend time summarising a story only because you are running out of words. Planning from the beginning will help to get a good essence of the book and a very clear vision which will help in setting up the right track. In case you’re at the phase of composing your synopsis, you probably won’t considerably recollect composing the opening line of your composition. The start of your abstract must be similar in the same class as the start of your novel. Invest energy in your opening line and continue working at it until the point when it is flawless. Catch the supervisor’s consideration. Snare them in and don’t give them a chance to get away. Your first section ought to present the hero, present the issue that sets them on the pathway of your plot, and depict the setting. It should cover the fundamentals of who, where, when and why. Write in the current state. Incorporate any crucial components of backstory – those that guarantee the completion will bode well when you come to it. The synopsis needs to have a strong middle section. The one which moves the story forward without any introduction and keeps the interest of reader as you approach the ending. Cut the words and sentences in a good reach even if you include them properly in planning. When everything is done you need to finish writing. After all the work editing and cleaning up comes into action. GO through the editing process with your manuscript. Check for any spelling or grammatical errors. Make sure your synopsis flows logically and every section of the story links to the next. 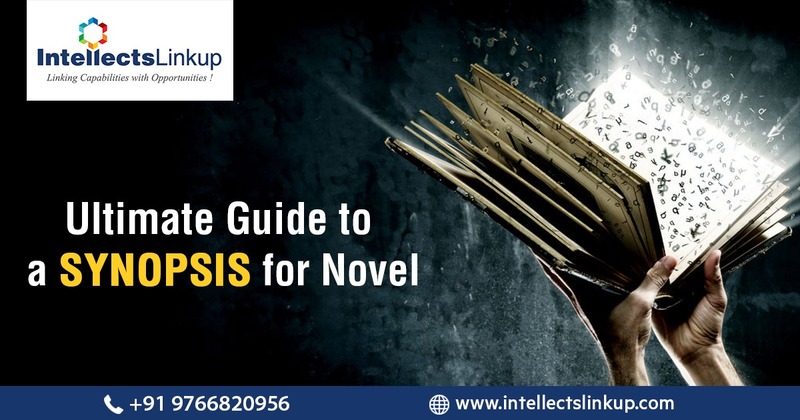 If you want everything to bring down in place and get the best results after writing your synopsis for Novel make sure you reach out to Intellect links up. We are the leading Synopsis writing services. Our Book Writing services have helped many authors to publish great books and novels over the period of time.